Approx. 48" x 48". This quilt is part of Red Crinoline Favorites No. 4 pattern. The perfect fall colored quilt. 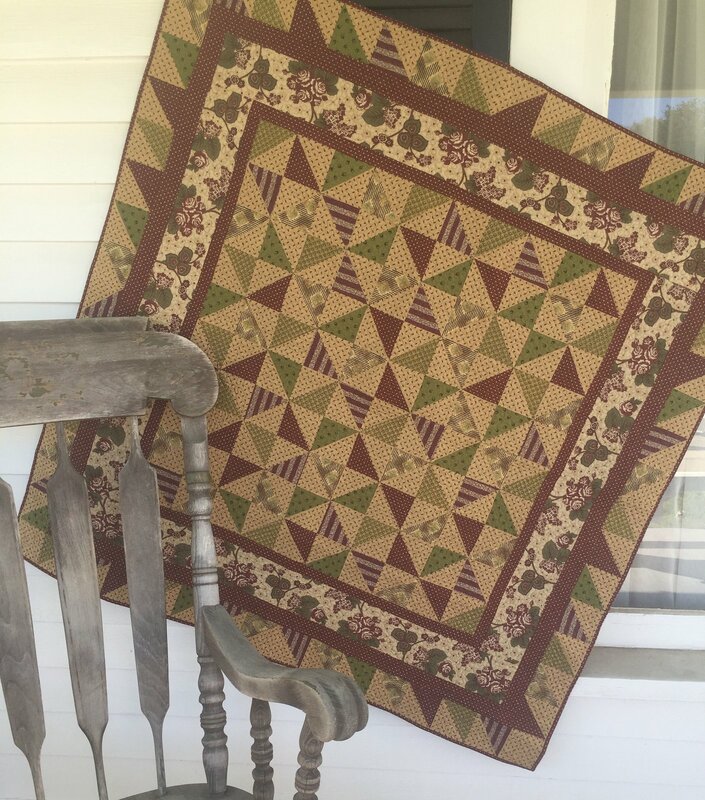 Kit includes fabric for quilt top, pattern and "Star Singles" half-square triangle paper.